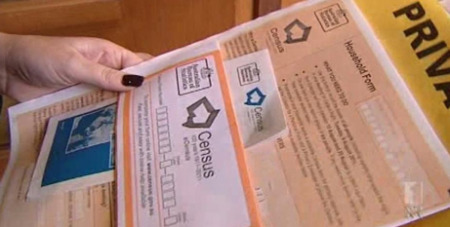 The Australian Bureau of Statistics (ABS) has given people the opportunity to have their say on the questions included in the latest Census and what might need to be changed for the next. National Secular Lobby ambassador and former Labor senator Chris Schacht said the question is “leading”, which results in an inaccurate representation of the Australian public. “There’s only one reason Australia’s ‘No Religion’ score is half that of other Western nations. We’re not more religious; the Census question is simply wrong,” he said. In the 2016 Census, 30 per cent of participants reported that they had no religion, but Mr Schacht suspects that a change in the wording would reveal it is much higher. He said the “closed” way the question is worded assumes that every Australian has a religion and secular groups have been campaigning for years to change this. “This immediately assumes every Australian has a supernatural belief in a particular god,” Mr Schacht said. Other Western countries are recording much higher rates of non-belief, with 52 per cent for New Zealand, 54 per cent for England, 62 per cent for Scotland, and over 80 per cent for Scandinavian nations. The ABS says on its website that a number of changes have been suggested for the religion question, including using two-part filter questions, changes or additions to wording, and placing the ‘no religion’ response as first in the list of options. In the 2016 Census they moved the “no religion” option to the top of the list but there are still calls to change the actual structure of the question.